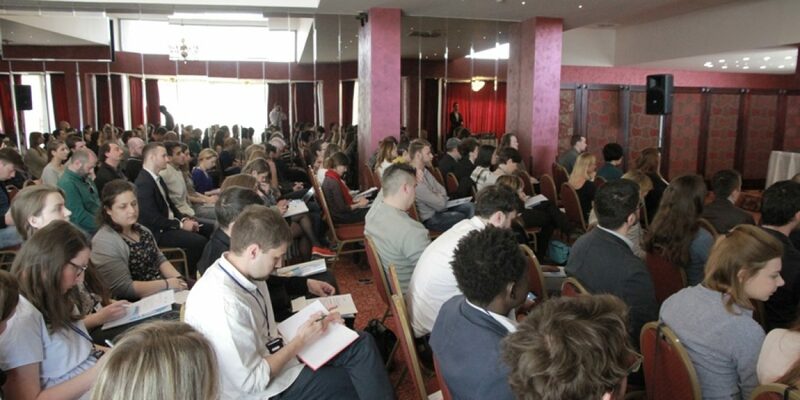 Better representation of migrants and refugees in the new media, increased youth media literacy and more initiatives for the promotion of diversity and integration were some of the main conclusions of the second Youth Forum “Refugees and Migrants in the New Media in South-East Europe and Central Europe”. 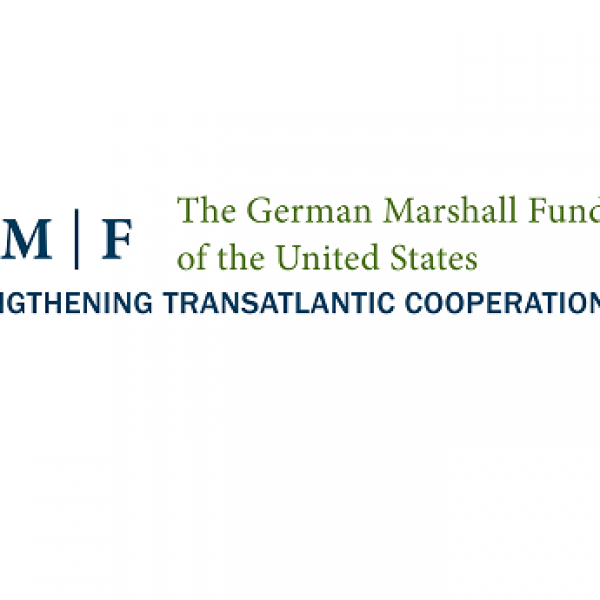 The realization of the event was also generously supported by the Visegrad Fund and the Central European Initiative (CEI). 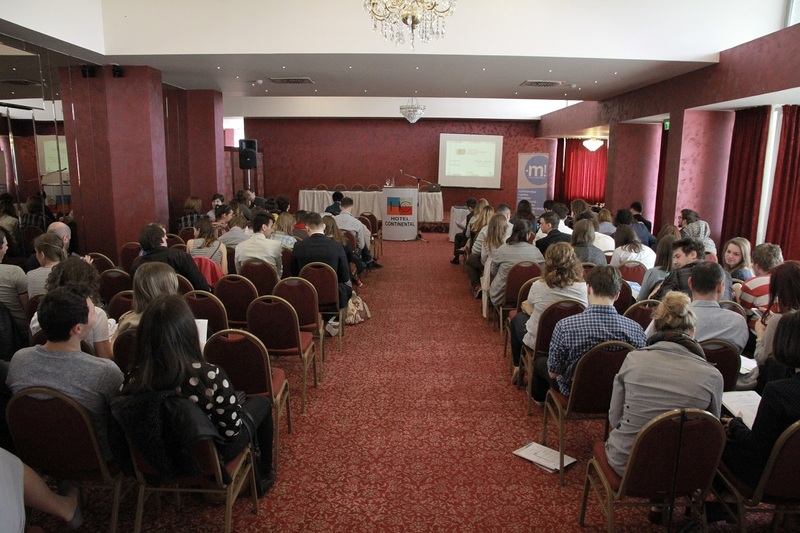 The Forum was organized by the Association for Education Mladiinfo International in partnership with Mladiinfo Slovakia, Mladiinfo Czech Republic, Mladiinfo Poland and DemNet Hungary. More than 60 young researchers, journalists and activists from around 15 countries shared their views on the ongoing migrant and refugee crisis, presented their own field work experiences, but also discussed their own personal stories. “The idea of the Forum was to create an event where we would provide enough space for young people to share their views and opinions on this engaging topic, but also to encourage the need for solidarity, integration and diversity. 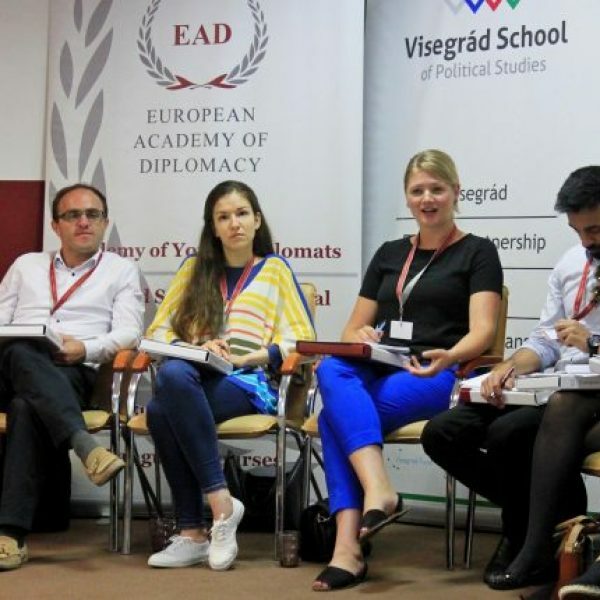 We wanted to avoid the usual debates on refugee crisis led on a strongly hierarchical institutional and organizational levels, thus leaving room for the seemingly small, but truly significant projects and initiatives held by young people themselves” – stated Ana Alibegova, Director for Program Development at Mladiinfo International. Besides debating on the quality of media products, the need for media literacy and youth activism, participants were also preparing recommendations and guidelines for new media reporting on the migrant and refugee crisis. The guidelines will be finalized during April and then submitted to the relevant stakeholders. 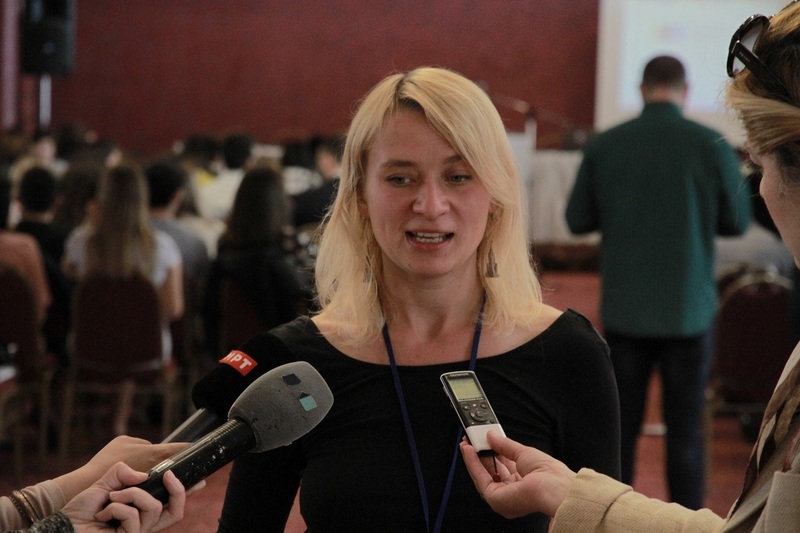 Among the activists present at the Forum was Anna Alboth – a journalist from Poland living in Germany, currently leading the “Civil March for Aleppo”. The Civil March is an idea of young people mainly coming from Poland and Germany who went on foot from Berlin through the Balkan countries and Turkey, with the goal of arriving closer to Aleppo, thus raising the public awareness for what is going on Syria. The Civil March arrives in Macedonia at the second half of April. “The idea for the Civil March came spontaneously after I was directly involved in what is going in Syria. At my home in Germany we welcomed refugees from Syria, Aleppo, so those events were no longer only TV news or web posts for me, but rather part of my room, my new friend’s life, as well as mine. I decided that is time to do something concrete instead of feeling sorrow, so that’s how the idea for the Civil March was born. Sometimes we are 20 people, sometimes 200 or 2000, but the more people talk about us, the more they talk about Aleppo and that is exactly what we want to achieve – to raise the awareness for the need of respecting human rights.” – Alboth said. 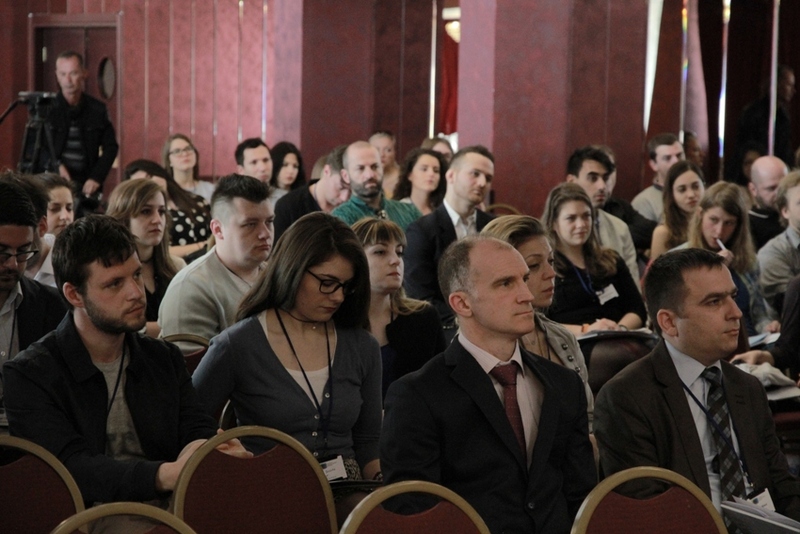 Apart from Alboth’s, the audience also heard the opening speeches of Dragancho Apostolovski – National Coordinator of the Central European Initiative, H.E. 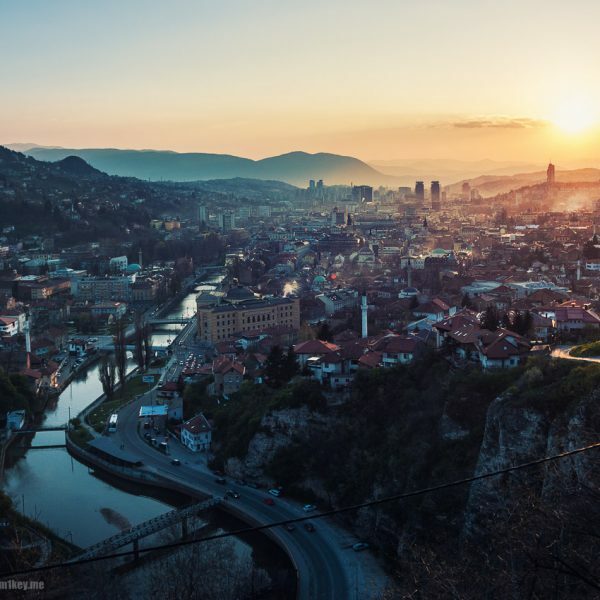 Mr. Jacek Multanowski – Ambassador of Poland in the Republic of Macedonia and Atanas Minov – National representative of the Migration, Asylum, Refugees Regional Initiative (MAARI). 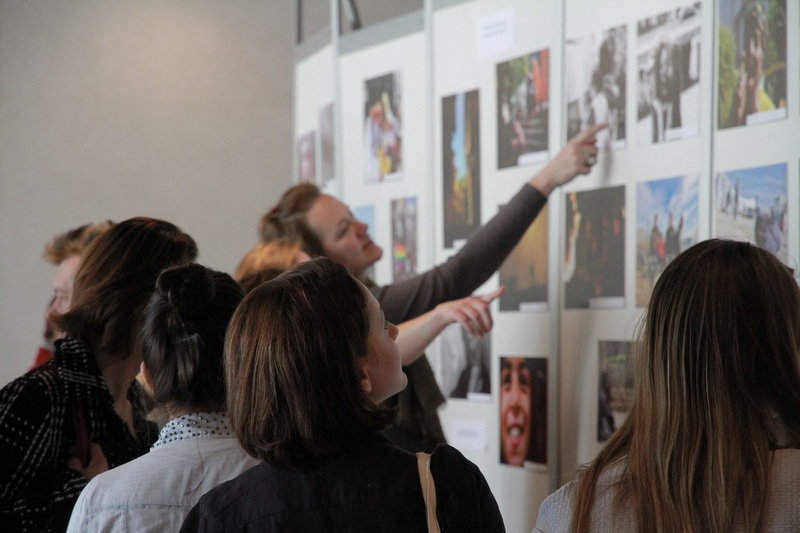 Moreover, during the Forum an exhibition titled “Diversity and Integration through the Eyes of Youth” was also opened, where 30 best photos from young photographers coming from Central and South-Eastern Europe were shown. 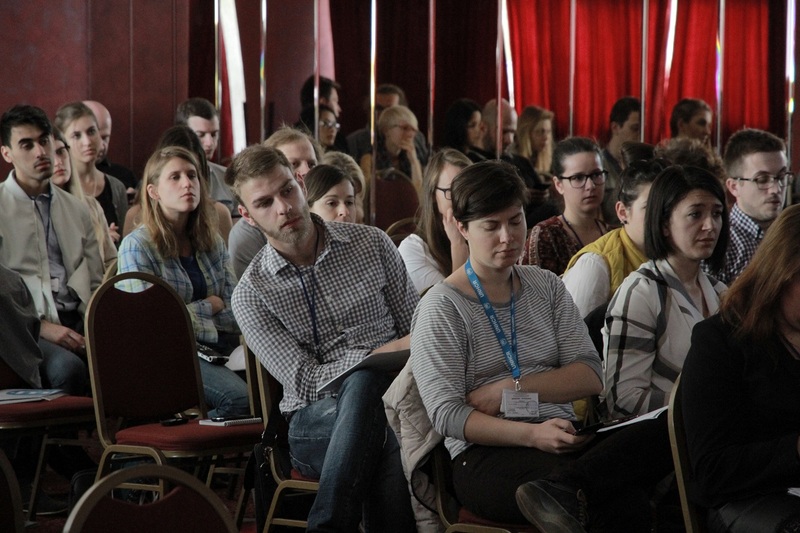 This year’s Youth Forum is a follow-up of the event “Representation of Minorities in the New Media in Central and Eastern Europe” which happened last year. More information about the project can be found on its official website or on social media. Find photos from the event on the following link.